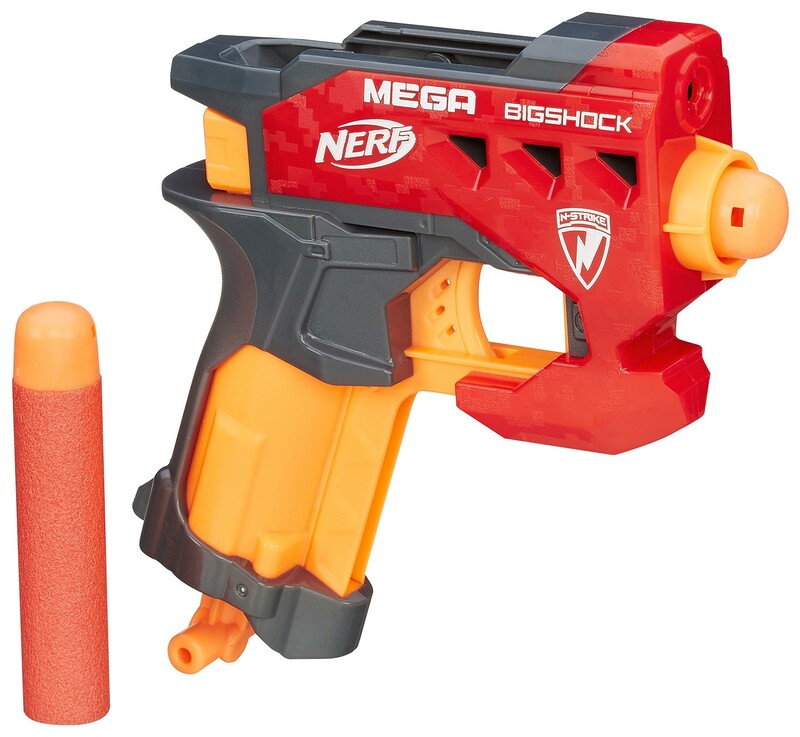 If you the leaked images of the probable upcoming 2015 Nerf lines, then you’ll remember the Mega Bigshock and Elite Slingshock being listed on there as well. 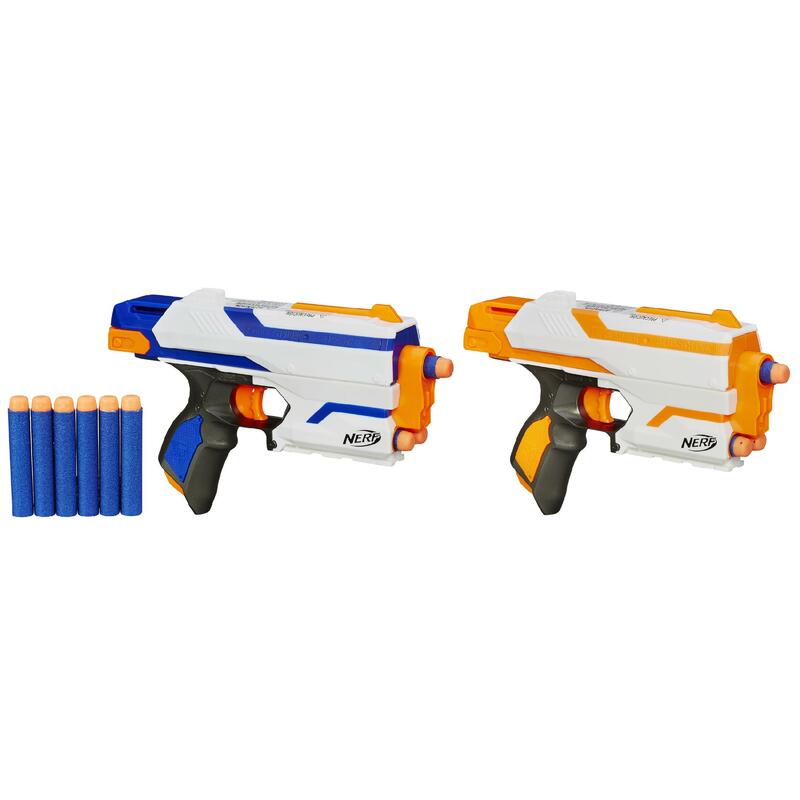 And now, thanks to the German site Bankcroft.de, we now have a new high quality images and product descriptions of those two upcoming blasters. No release dates or targeted release time frames yet, but stay tuned to Basic Nerf for more info on that as they come out. Check below for the product descriptions and images of the Mega Bigshock, and Elite Slingshock. Their 2014 Lineup, featuring the Predator, Sonic 6, and Extreme Blastzooka. Buzz Bee Toys has recently released Youtube commercials for their newer blasters called the Predator, Sonic 6, Extreme Blastzooka, Sidewinder, and Gunsmoke. And while their looks and performance still seem to be on the lacking side, the ads are a step or two above what we’re used to seeing from Buzz Bee. Check out the rest of the post below, as well as video commercials for the Sidewinder and Gunsmoke. If your not familiar with Black-Tactical, it’s a tactical gear site based in Singapore. They sell a good variety of high quality tactical gear, including accessories, scopes, sights, stocks, and even Nerf equipment. Which includes blaster kits, springs, epoxy, and more. One of their latest releases are Metal Mags/Clips for our Nerf blasters. They call it the Aureus Alpha, or “The Golden One”. Check out their details and some of my thoughts on them below. Version 2.0: Its the same high quality build, now mass produced cheaper! 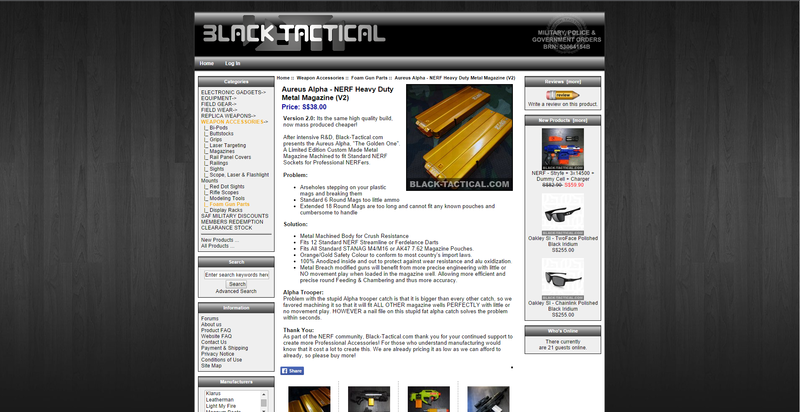 After intensive R&D, Black-Tactical.com presents the Aureus Alpha, “The Golden One”. A Limited Edition Custom Made Metal Magazine Machined to fit Standard NERF Sockets for Professional NERFers. Fits All Standard STANAG M4/M16 or AK47 7.62 Magazine Pouches. Orange/Gold Safety Colour to conform to most country’s import laws. 100% Anodized inside and out to protect against wear resistance and alu oxidization. Metal Breach modified guns will benefit from more precise engineering with little or NO movement play when loaded in the magazine well. Allowing more efficient and precise round Feeding & Chambering and thus more accuracy. Problem with the stupid Alpha trooper catch is that it is bigger than every other catch, so we favored machining it so that it will fit ALL OTHER magazine wells PERFECTLY with little or no movement play. HOWEVER a nail file on this stupid fat alpha catch solves the problem within seconds. As part of the NERF community, Black-Tactical.com thank you for your continued support to create more Professional Accessories! For those who understand manufacturing would know that it cost a lot to create this. We are already pricing it as low as we can afford to already, so please buy more! Another day, another recolor am I right? 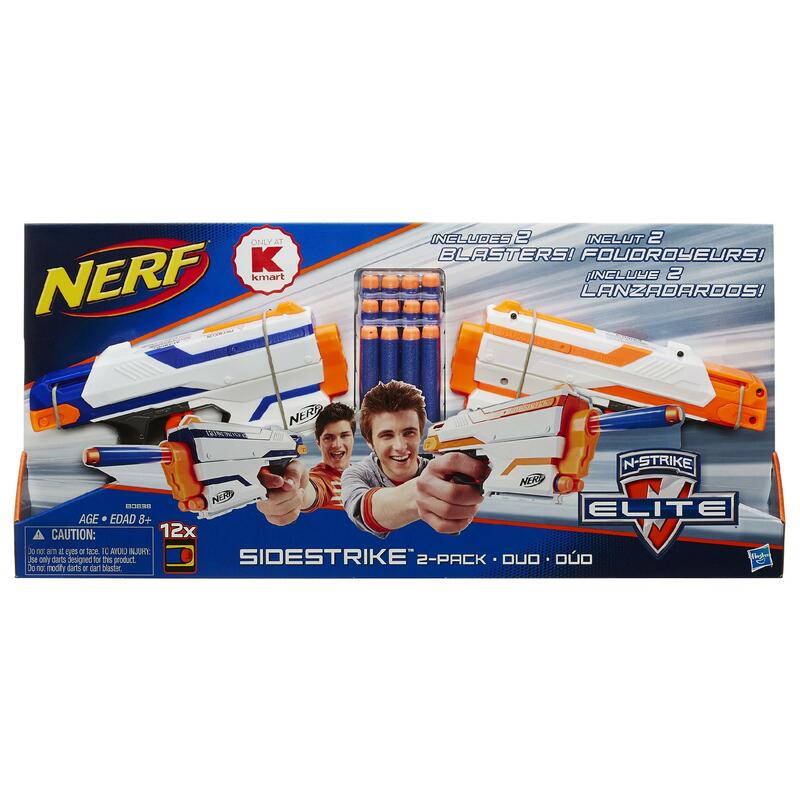 Kmart’s site has put up a listing of an Elite Version Sidestrike. 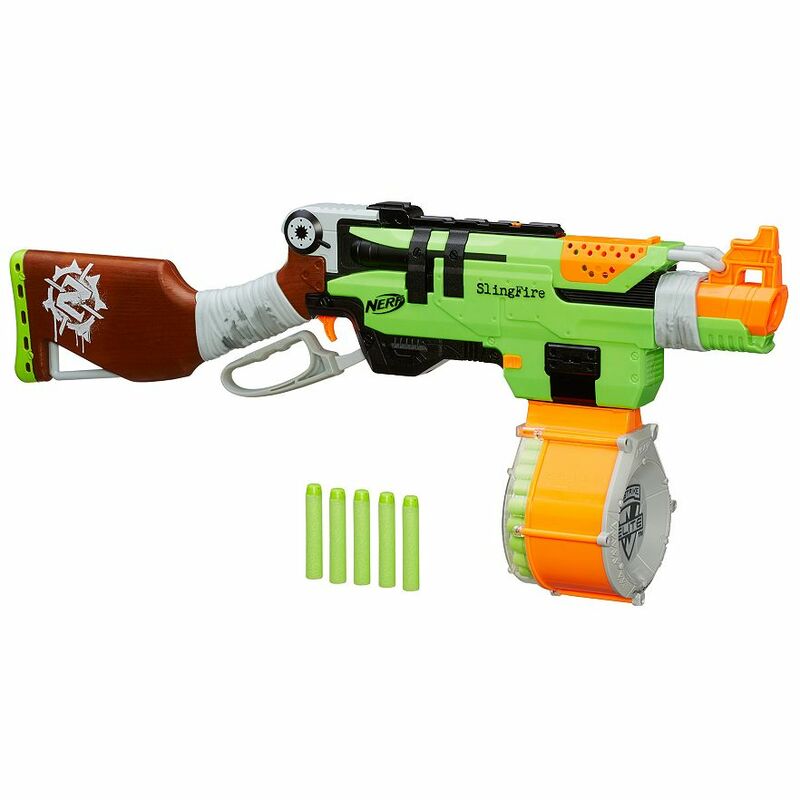 In case you needed a reminder, the Sidestrike first originated as a Zombie Strike blaster. 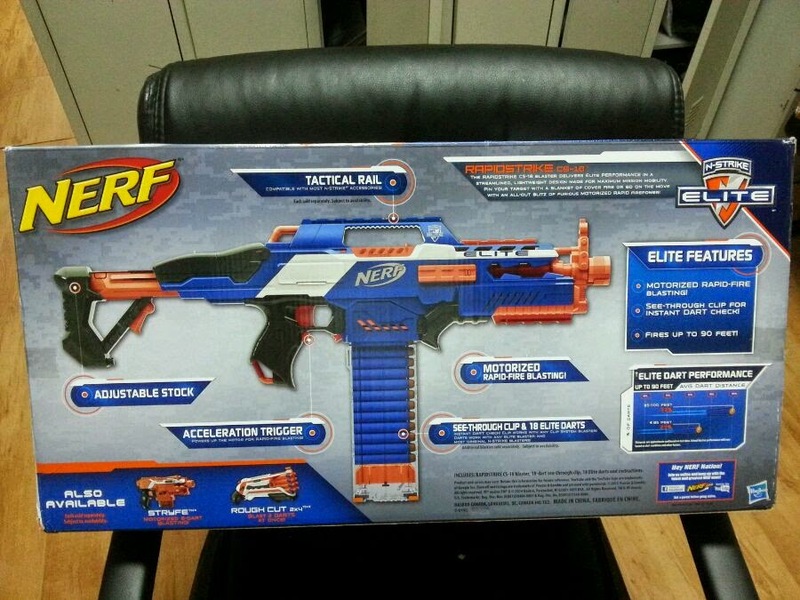 This Kmart exclusive, 2 Pack version retails for $24.99 on the side, comes with 12 Elite Darts, and lacks the holster that normally comes with the Zombie Strike version of the blaster. I like how one one blaster is the old Elite color scheme, and the other is the new Elite color scheme though. Probably worth passing on it, unless your a newer player who wants to pick up a simpler blaster for yourself and another. Product image from the Kmart site. Thanks to my reader Ricky for sharing and linking me to this listing. 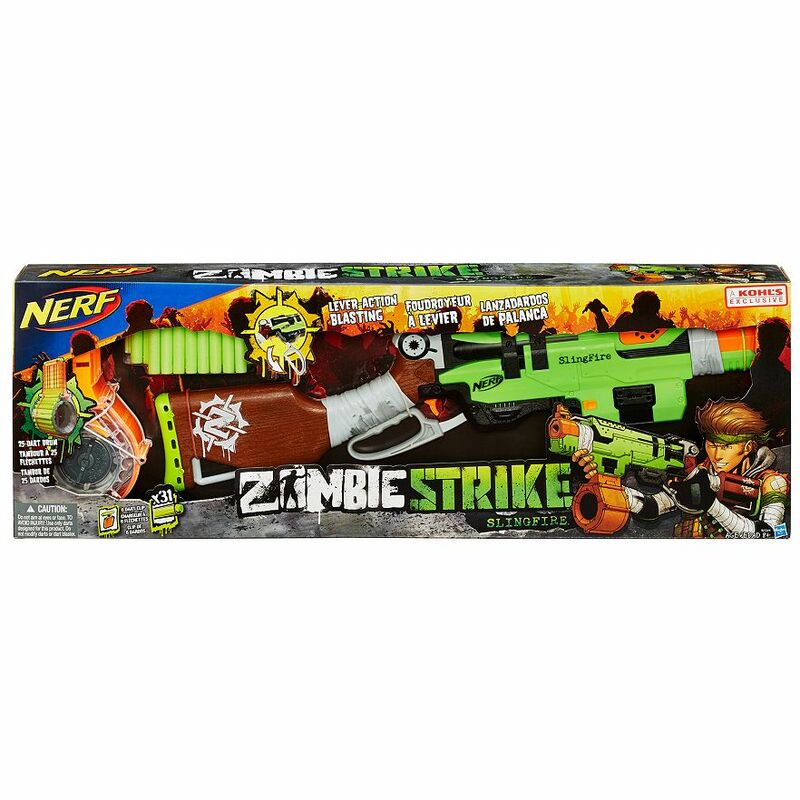 Kohls has recently put up a web listing for a package deal featuring the Zombie Strike Slingfire and the N-Strike Elite Rampage’s 25 Dart Drum. The drum has had some positive feedback from Nerfers for it’s smaller size, and better feeding then the previous Raider’s 35 darm drum. Although the combo package is welcome, the price is a bit too high for most people’s preference. $59.99, and it’s “on sale” for $47.99 at the moment. For reference, a Slingfire usually retails for $19.99, and a Rampage for $27.99. Those too things combined are already less then this Kohls package, and you get more from buying them separately. Kohls members who have a membership cards may be able to get this for a lower price, and the price may lower in the future, so don’t entirely discount this package out. Rapidstrike Images found on Baidu. You can see the XD distances on the bottom right of the box. The “Elite XD” branding first appeared on the Elite Demolisher 2-In-1 Blaster box. The XD standing for “Extra Distance” and boasting ranges of up to 90 feet instead of the usual 75 feet ranges of the Elite line. And now according to my public relations contacts at Nerf, the XD distance and branding is here to stay! You can also see XD branded Retaliator, Strongarm, and Stockade (boasting up to 85 feet) below. These blasters, and the Rapidstrike above, also have new paintjobs. Finally spotted an "Elite XD" #Nerf Stockade m'self… ehhhhh. Shell out another $20 for 10 more feet? I wonder if next year everything gets a range boost again, and I will find myself asking the same question. Instagram photos thanks to Foam From Above. I’m personally on the excited side for these. Normal flat ranges for Elite blasters were 40-50 feet with Elite Darts. Could we 50-60 feet flat with these newly revamped blasters? Stay tuned to my blog for more on that in the future!